2) Doughnut Plant, multiple locations. I got the feeling that doughnuts are the new big thing on the sugar scene. I’d heard about Doughnut Plant from a dear friend of mine who currently calls the Big Apple home, so instead of picking up chia pots for my boss’ baby shower, I came armed with instead with a box of these delicious bad boys. Guess who was voted ‘most popular’ that day, hey? Even the carb-free army had a taste. Top picks included the banana caramel and creme brûlée, their most famous flavour. Sadly the lemon poppy-seed fell a little short of expectations. 3) Karlie Kloss’s Momofuku Cookies (& Crack Pie), East Village. Now I still can’t get over the fact that goddess of all goddesses, Karlie Kloss, is a baking enthusiast. I guess that doesn’t have to mean she’s an eating enthusiast like myself….Anyway, a trip to NYC isn’t complete without a visit to one of Momofuku's many endeavors, and I headed straight to their Milk Bar in the East Village. Karlie’s sweet, oat-laden cookies did not disappoint. I’m a sucker for oats in cookies and I’d vote this was the best I’ve tried. 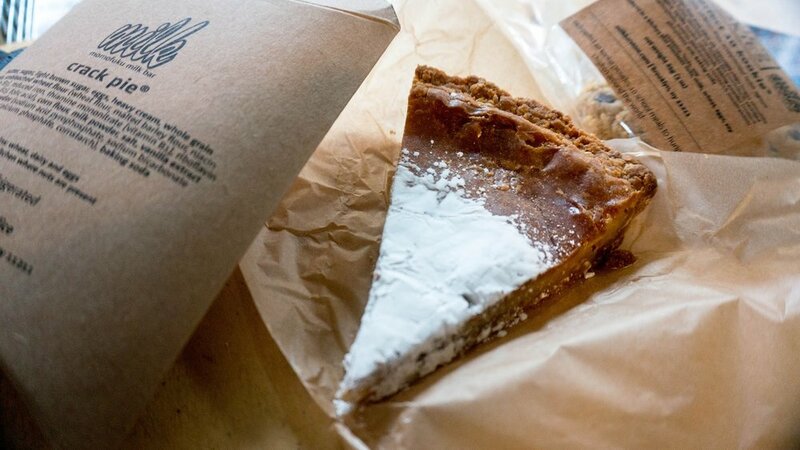 Milk Bar is also famed for their Crack Pie, a sugary, buttery slice of heaven which coats your mouth in warm caramel. A death to any diet. 4) Japanese or Korean BBQ, Midtown. I’ve been fortunate to visit both the east & west coast of the US a few times, and I’ve never seen anything quite like their Asian BBQ scene outside of America. New York was no exception, and I thoroughly savored my self-induced food coma after visiting Gyu-Kaku Japanese BBQ in Midtown. 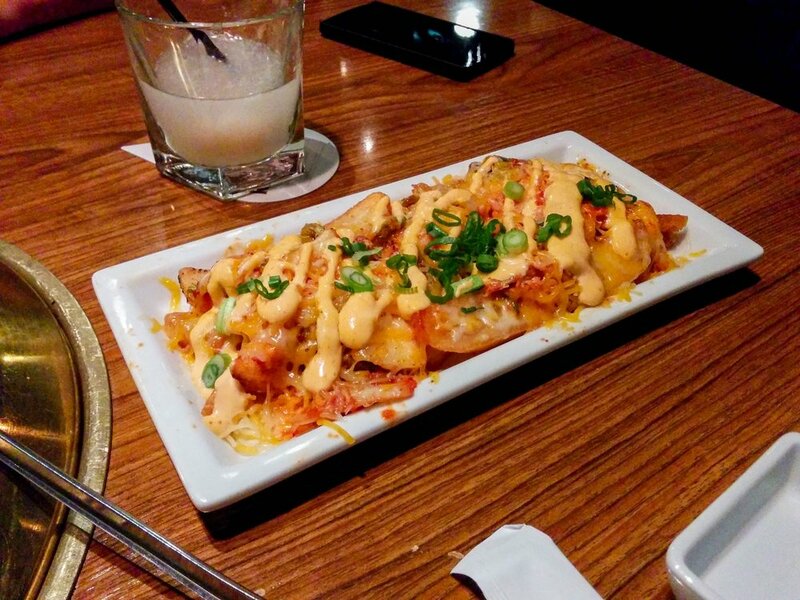 Paired with lychee martinis, my partner-in-crime and I devoured Kim-cheese fries and grilled our own strips of juicy pork, beef and shrimp. The restaurant was heaving with locals enjoying the mischievous feeling that comes on a Thursday night, making for an entertaining and very delicious evening. 5) Burger Joint at Le Parker Meridien Hotel, Midtown. Now this one really is a bit of a secret. This tip came from my darling younger brother, a man who lives for snowboarding, mountain-biking and good, simple food. So when he told me about this burger bar with wooden walls awash with celebrity signatures and the best burger he’d had in all of the US, I was sold. Burger Joint is hidden in the lobby of one of the most elegant hotels I’ve ever walked into just a stone’s throw from Central Park. 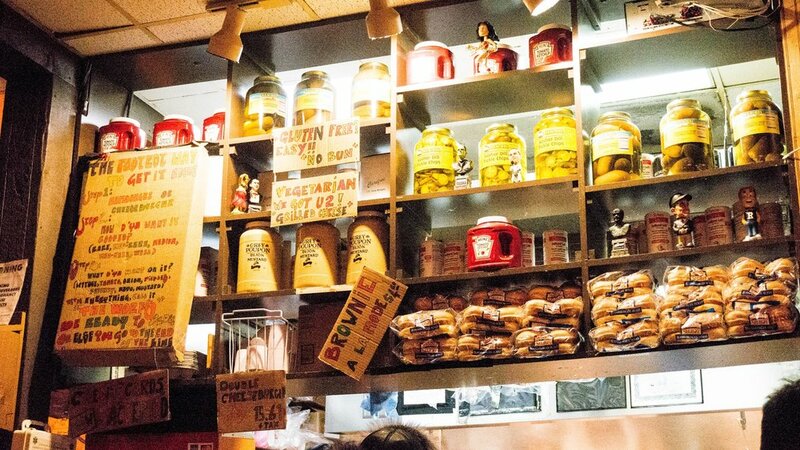 Hidden behind the wall of red stage curtains, the joint is a tiny treasure trove of low-lit booths, jam-packed with people enjoying the simple burgers. Be sure to savor the eclectic interior while your stomach thanks you repeatedly for your kindness. 6) Aria Wine Bar, West Village. The West Village is achingly beautiful. I was blessed enough to stumble upon it with the snow falling, which made it feel even more like the secluded, leafy neighborhood it is. After walking the High-Line, my friend whisked us away to Aria Wine Bar to step out of the cold. Candle-lit, with rustic wooden family-style tables and hams hanging from the walls, it was a cosy escape from the fast-dropping temperatures outside. We wiled away the hours gossiping over a beautiful bottle of Chianti, nibbling on the softest burrata and filling up on truffled macaroni cheese as the fairy lights twinkled amongst the snowflakes. Definitely the best way to spend a Sunday in winter-y New York. 7) Refinery Hotel, Midtown. An elegant, other-worldly high-rise bar with a terrace near Times Square, you say? No line, you say? New World wine? French cheese platters and charcuterie? Oui Oui! Situated on the 13th floor, with an outdoor terrace overlooking the towering skyscrapers, I was very impressed with the ambience of the restaurant at Refinery Hotel. Come here for the relaxed yet polished interior, have a look out over the terrace and recharge with the peaceful tone of this relatively unknown gem.